Enjoy shopping and gourmet cuisine at one of the largest shopping complexes in the Minato Mirai 21 area: MARK IS minatomirai! Don’t forget to check out the world’s first supercharged nature experience at Orbi Yokohama during your visit. 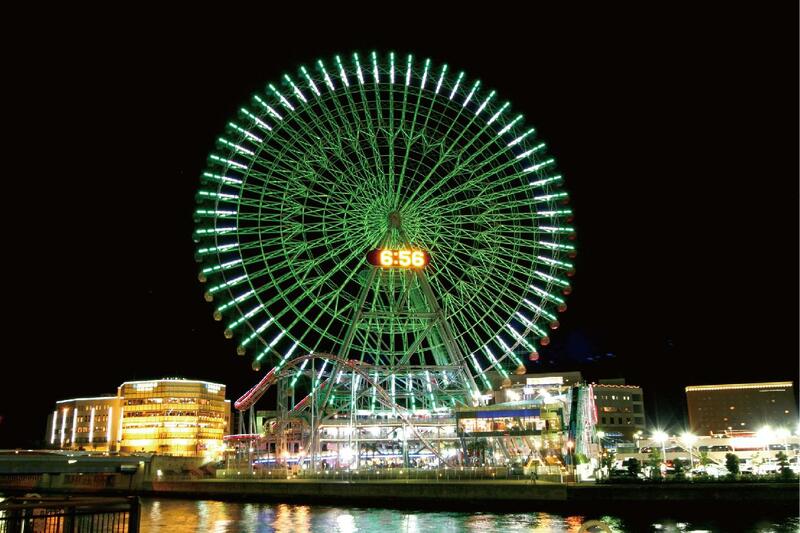 For an adrenalin rush, ride the giant Ferris wheel and other attractions at the nearby Yokohama Cosmo World. The ferris wheel comes alive at dusk with its million-dollar views of the city’s nightscape! Replenish yourself with a sumptuous dinner at an Indonesian or Indian restaurant popular with Muslim residents inside the Yokohama World Porters shopping complex. MARK IS minatomirai is the city’s latest commercial establishment with the concept of “life entertainment mall”, housing 189 shops. Get an English pamphlet at the information counter on the ground floor, and start exploring from the B4 floor up! *There are over 30 seating spots, both indoor and outdoor, in the complex for visitors to rest and relax. It is easy for Muslim visitors to find space to make a prayer too. The B4 floor of the complex houses the “Ekimae Market” which literally means “station market”, referring to the adjacent Minatomirai station on the Minatomirai Line. 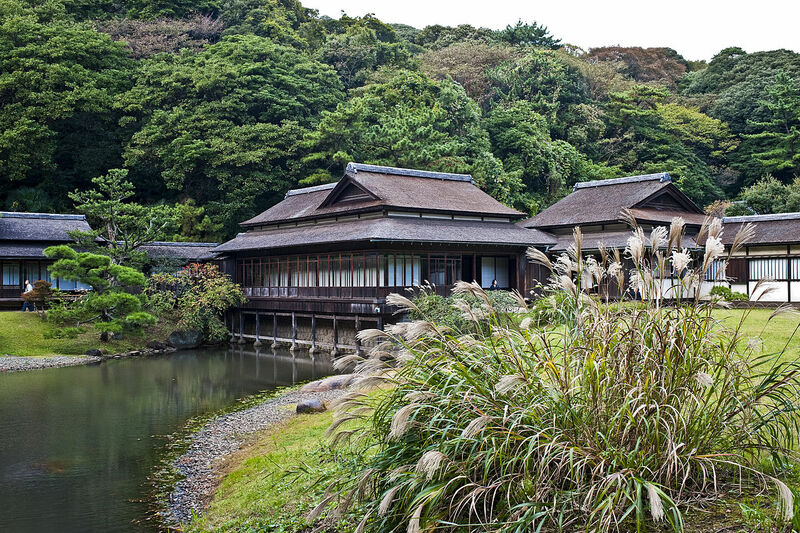 Check out “HAMAMONYO”, a Yokohama brand retailing tenugui (handkerchiefs) and traditional Japanese goods, and “WEST END RULE by Maker’s Shirt Kamakura” with its line of quality Made-in-Japan fashion items! Both shops offer a wide selection of size-free items perfect for unique souvenirs. The 4th floor hosts 26 restaurants and a food court covering a variety of foods, including traditional and casual Japanese cuisine like takoyaki, okonomiyaki, sushi, soba and udon. Additionally, there are 3 Japanese sweets shops on the B1 floor selling the likes of dorayaki and taiyaki, which are sure to charm anyone with a sweet tooth! Experience the super-sensory nature at Orbi Yokohama! On the 5th floor of MARK IS minatomirai sits the world’s first supercharged nature entertainment facility, Orbi Yokohama. This amusement park fuses beautiful imagery from BBC EARTH with SEGA’s contents development to recreate various natural habitats from around the globe. Feel, hear, smell and experience life on earth, whether you’re ‘interacting’ with life-sized animals or being whipped by the cold winds of the -20℃ frozen tundra. The Yokohama Cosmo World is an urban amusement park that features the landmark roller coaster and other exciting attractions to entertain both kids and adults. The main attraction is one of the world’s largest Ferris wheels Cosmo Clock 21 at 112.5m high, and seats 480 people. 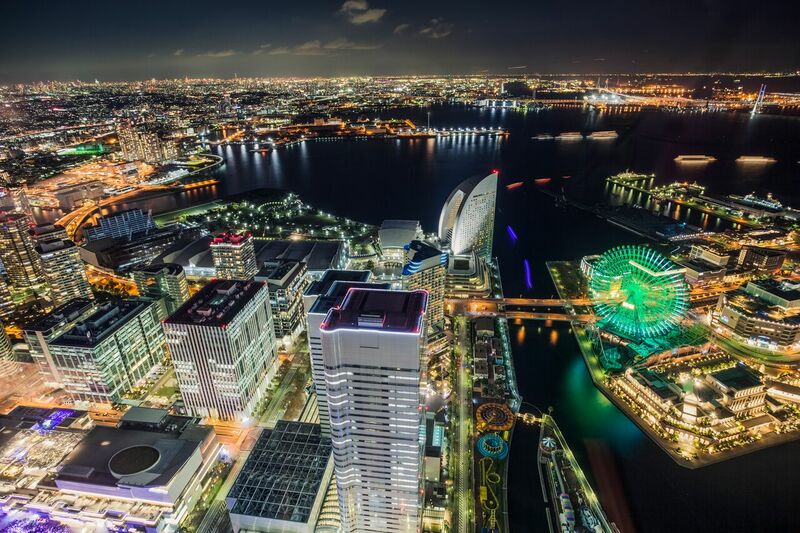 The 15-minute ride showcases a 360-degree panoramic view of Yokohama by day and a magnificent nightscape in the evening. 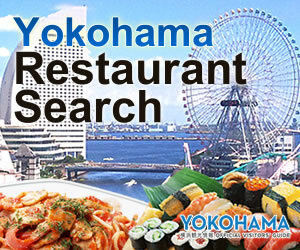 The city’s large shopping mall, Yokohama World Porters, houses 2 delectable restaurants that are popular with Muslim residents – the Indonesian restaurant “Sura Baya” and the Indian restaurant “Spice Bistro GARA Yokohama” – both on the 5th floor. Make sure to get a table by the window to enjoy the view while you dine! InterContinental Yokohama Grand, designed to look like the mast of a yacht, adds an artistic twist to the city’s bay front. Conveniently located adjacent to the international convention and exhibition hall, the hotel welcomes guests from all over the world with utmost hospitality. The buffet restaurant Ocean Terrace is popular with guests; all restaurants in the hotel offer vegetarian and halal menus upon request.